Visit our store to browse our display collection and share your hopes and wishes. We welcome your ideas for custom-designed rings and other jewelry. 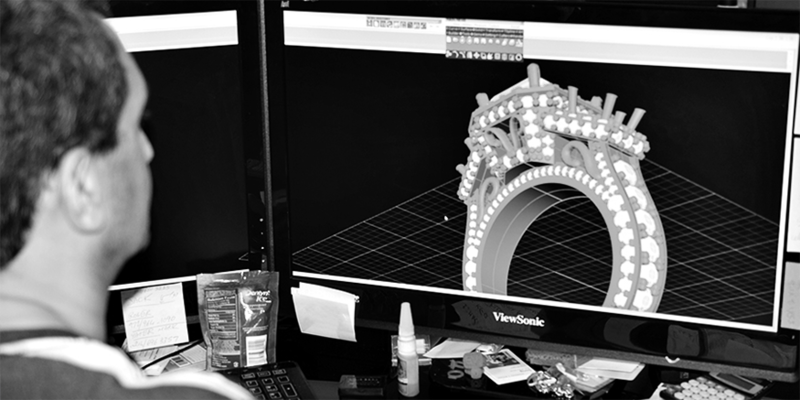 If you have not got a clear vision of a wedding ring yet, our designers are ready to create a unique design for you. 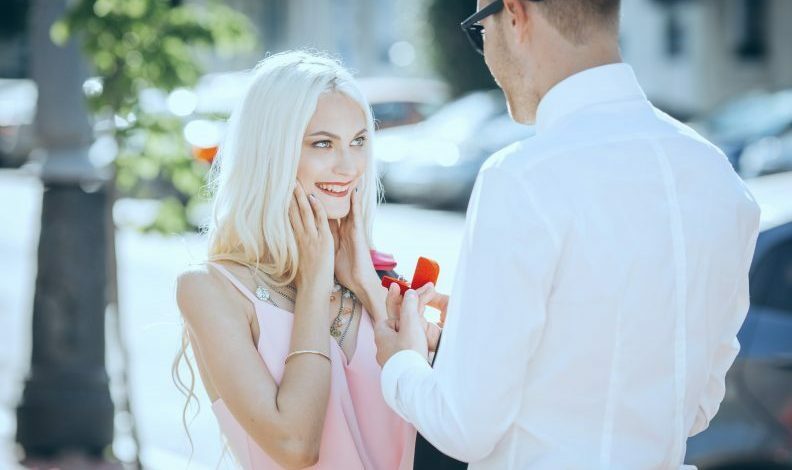 We will help explain how to choose the right stone, which characteristics are important, and what to look for in a custom-designed jewelry piece for your one-of-a-kind engagement ring or wedding band. At this stage, our designer makes first sketches of your future diamond ring. 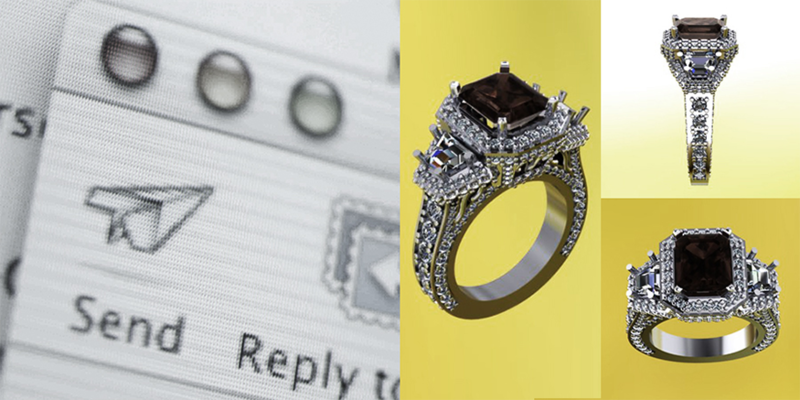 Based on your ideas and wishes, Bova Diamonds creates a 3D image using CAD technology. Cutting-edge technology of computer-aided design (CAD) gives an opportunity to make several sketches or models so that you can have a clear vision of the future product. 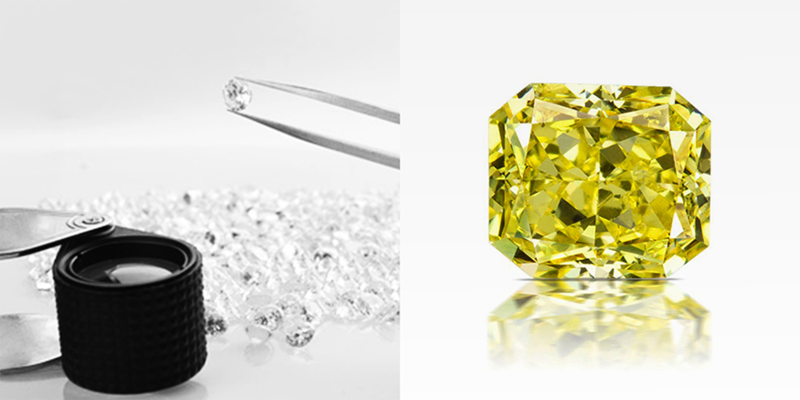 Bova Diamonds works closely with our customers. We email you all renders of the ring we are working on. At this stage any alterations are still possible. Once you approve the suggested custom design we proceed to the next step. 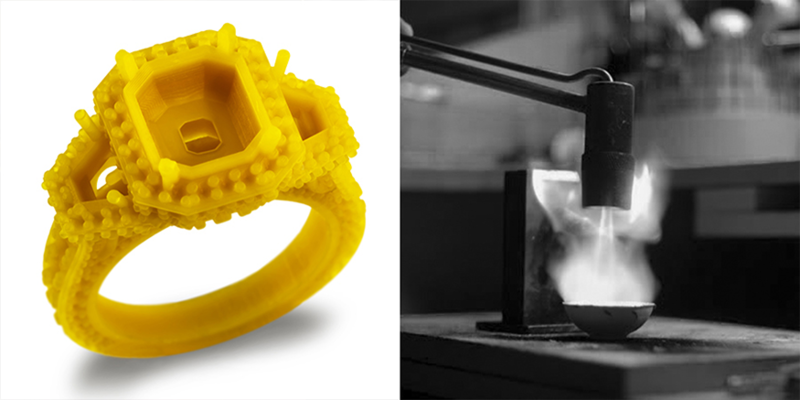 Working from 3D design models our craftsmen make a wax model of the wedding ring that is than used for casting in metal. Our specialists will advise you on different precious metal types typically used in jewelry making. Using metal of your choice Bova Diamonds creates a ring setting. Bova Diamonds carries a wide selection of loose gemstones. We have only quality precious stones that could enrich any jewelry piece. You can browse our loose stone collection at and choose the one to suit your liking and budget limits. Diamond is a traditional choice for engagement rings. Our specialists will help you choose the best diamond for your ring judging by its clarity, cut, color, and carat weight. You can also choose colored gemstones to create an exclusive custom-made ring. Once you choose a gemstone, our jeweler begins finishing work on the jewelry piece. Using the approved casted setting Bova Diamonds specialist sets gemstones on the ring. Then the ring is polished and cleaned. That is the final stage of the production process. Once your one-of-a-kind custom-designed jewelry piece is ready, we invite you to store. There you receive your order – a unique piece of jewelry designed just for you. Our 7 step process will make your dreams come true. If you have any questions about custom design or if you want to schedule an appointment with our specialists, contact us at or just come to visit our store. Nothing says “I Love You” more than a custom piece of jewelry. There are some people who do not want to have jewelry that is the same with others. They opt to have custom or personalized designs that will best suit their lifestyle, taste, and personality. In Bova Diamonds, the designs are based on the personality and preference of the customer, depending on which type of gem he or she wants. There are many designs to choose from, and the finished product is the result of the customer’s preference and taste. Moreover, self-styled jewelry will prevent the off-the-shelf pieces that are found in various local jewelers in Dallas, Texas. This means that you’ll have the choice of having a jewelry piece that is different from the norm. 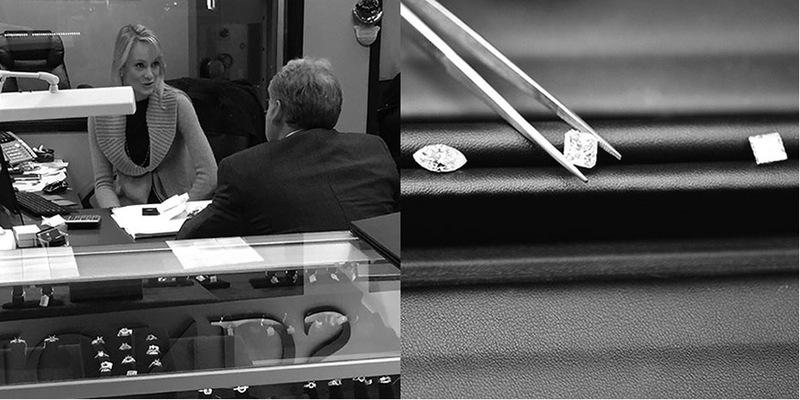 When you work together with our expert jewelers, you get the full value for your money. You can personalize the jewelry piece you want without spending too much money. There are no extra or hidden costs involved in custom made jewelry designs. You can choose the materials yourself, the cut, the color, and the size of the stone. By doing this, you can tailor the jewelry based on your budget. Custom jewelry more than a chance to be involved in the design process. It is the chance to be a part of a piece that will be cherished and loved forever. You can mix and match designs, depending on taste and personality. Custom jewelry is in demand today because many individuals want something unique and Avant Garde. They do not want the usual piece of jewelry. The good thing is, there are many shops today that caters to these needs, and they promise quality-made designs that suit the customer’s preferences. 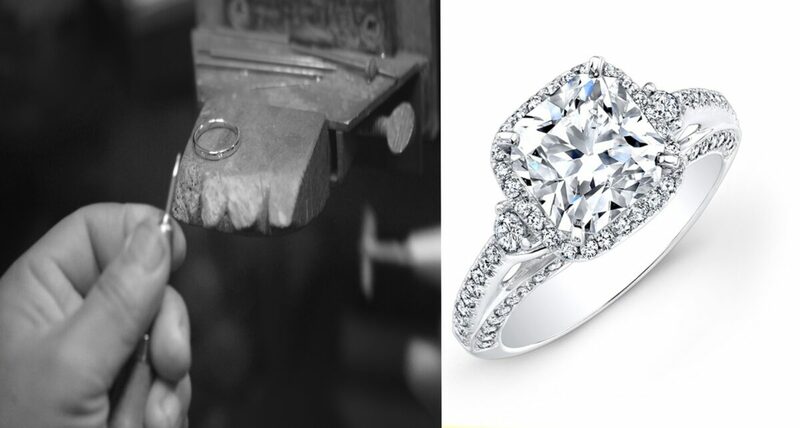 What kind of custom jewelry can Bova Diamonds make?